Synchronize the 3D glasses with the TV. Make sure that the TV is turned on and set up for 3D viewing . 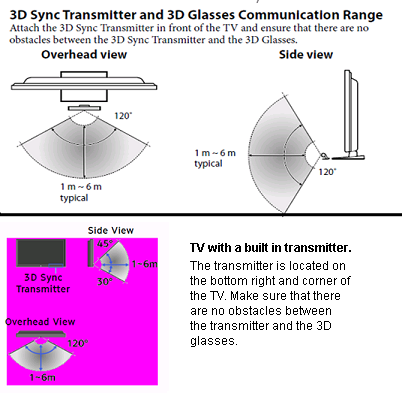 The person wearing the glasses should position him or herself within the transmitter range shown below.